I am still fuming from the news that Kelly Marie Tran was driven off social media because of bullying. Whoever these “manbabies” are have no place among Star Wars fans (or human beings). It’s all right to like or dislike the prequels or the new movies, but it’s utterly despicable to use racist and sexist language to force someone from social media. Especially someone as charming and wonderful as Kelly Marie Tran. “Manbabies” is an accurate description for these alleged “fans”, a label applied by Rian Johnson in a tweet. Actually there are a few tweets in which Rian Johnson and Mark Hamill shutdown all these awful haters. You can express your disagreement of the new movies without resorting to bigotry and racism. The group of cowards responsible for this atrocious behavior attempted to throw “Give Us Legends” under the bus. I appreciate what GUL wants to do and I am more inclined to believe they were not involved with this act of bullying. 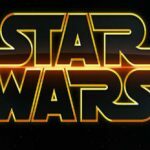 A few days after the story broke, the website “Making Star Wars” published an article that implicates “Give Us Legends” as the culprits behind the racist attacks. While I could not find any source to back up the article, I found several sources that exonerated GUL. 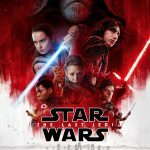 If you are unfamiliar with “Give Us Legends”, they are a group of avid Star Wars fans that are respectfully urging Disney to continue the Legends canon. When Disney “debunked” the Expanded Universe, they coined the debunked canon as “Legends”. The article from “Making Star Wars” is successful in skewing your perception of GUL, however, their Facebook page absolves them. I initially thought they were among the group of whiny “manbabies” wishing to stop Disney from rewriting EU canon. 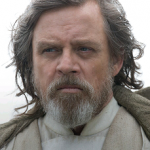 However, they are simply asking for Disney to continue expanding the “Legends” canon as well as their new post-Jedi canon. I support that notion! 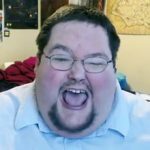 In a more recent post I discuss how Star Wars is more gender neutral because of strong female characters. Now I’m not going to preach about gender equality. An actor or character’s gender, race, creed, color or sexual orientation are irrelevant to the story. I don’t know why any of those characteristics need to be singled out in any capacity. 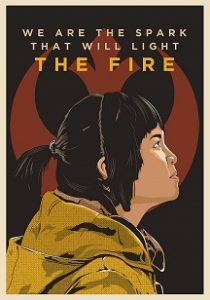 Be that as it may, Kelly Marie Tran’s character is Rose Tico (if you didn’t know). Rose is a mechanic on the Raddus, the cruiser that becomes the flagship for General Leia during the evacuation of D’Qar. While a good mechanic, she stays below the radar until her sister is killed during the bombing of the dreadnaught. Rose rises up to become another strong female character in the Star Wars universe. She is a welcome addition to the likes of Daisy Ridley, Ashley Eckstein and Carrie Fisher. Since the disgusting display of human indecency, there has been a huge outpouring of support by the actual Star Wars fans. It’s unfortunate that Kelly Marie Tran has left social media because I think she would appreciate it. I hope she sees it eventually, because I look forward to seeing more Rose in the next movie.